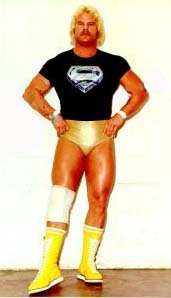 - NWA Southern Tag-Team Title Tournament (March 14, '82) = Lane & Robert Gibson beat the Angel & the Monk and the Original Midnight Express (Dennis Condrey & Randy Rose), then lost in the finals to Bobby Eaton & Sweet Brown Sugar. - NWA 1st Annual Jim Crockett, Sr Memorial Tag Team Tournament Cup (April 19, '86) = The Fabulous Ones (Lane & Steve Keirn) fell in the first round to the Fantastics. The Road Warriors won the tournament. 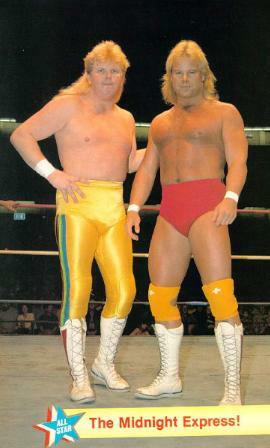 - AWA WrestleRock (April 20, '86) = The Fabulous Ones were beaten by Mike Rotunda & Barry Windham. - NWA Florida Battle of the Belts III (September 1, '86) = The Fabulous Ones retained the Florida United States Tag-Team Titles, beating the Sheepherders. - NWA Florida Eddie Graham Memorial (May 9, '87) = The Fabulous Ones stayed the NWA Florida Tag-Team Champs, winning over the MOD Squad. - NWA Great American Bash '87 (July 4) = The Midnight Express (Lane & Bobby Eaton) lost, via DQ, to the NWA World Tag-Team Champs, the Rock-n-Roll Express. - NWA Great American Bash '87 (July 18) = The Midnight Express (Lane & Eaton) retained the NWA United States Tag-Team Titles, beating the Fabulous Freebirds. - NWA Great American Bash '87 (July 31) = The Midnight Express (Lane & Eaton) lost, via DQ, to the NWA World Tag-Team Champions, the Rock-n-Roll Express. - NWA Starrcade '87 (November 26) = The Midnight Express (Lane & Eaton) lost a "Scaffold" Match to the Rock-n-Roll Express. - NWA Clash of the Champions I (March 27, '88) = The Midnight Express (Lane & Eaton) stayed the NWA United States Tag-Team Champions, winning, via DQ, over the Fantastics. - NWA 3rd Annual Jim Crockett, Sr Memorial Tag Team Tournament Cup (April '88) = The Midnight Express (Lane & Eaton) won a "Triangle" Match over the Sheepherders and the Lightning Express, then fell to the eventual winners, Lex Luger & Sting. - NWA Great American Bash '88 (July 10) = The Midnight Express (Lane & Eaton) won the NWA United States Tag Titles, defeating the Fantastics. - NWA Clash of the Champions IV (December 7, '88) = The Midnight Express (Lane & Eaton) fell to Ric Flair & Barry Windham. - NWA Starrcade '88 (December 26) = The Midnight Express (Lane & Eaton) beat the Original Midnight Express (Dennis Condrey & Randy Rose). - NWA Clash of the Champions V (February 15, '89) = The Midnight Express (Lane & Eaton) took down the Russian Assassins. - NWA Chi-Town Rumble (February 20, '89) = The Midnight Express (Lane & Eaton) & Jim Cornette won a "Loser Leaves Town" Match over Paul E. Dangerously, Randy Rose, & Jack Victory. - NWA Clash of the Champions VI (April 2, '89) = The Midnight Express (Lane & Eaton) fell to the Samoan Swat Team. - NWA World Tag-Team Title Tournament (May/June '89) = The Midnight Express (Lane & Eaton) defeated Butch Reed & Bob Orton Jr to reach the semi-finals of the tournament. - NWA Clash of the Champions VII (June 14, '89) = The Midnight Express (Lane & Eaton) won over the Samoan Swat Team, then were beaten by the Freebirds, who won the vacated NWA World Tag-Team Titles. - NWA Great American Bash '89 (July 23) = The Midnight Express (Lane & Eaton), Steve Williams, & the Road Warriors won a "Wargames" Match over the Fabulous Freebirds & the Samoan Swat Team. - NWA Halloween Havoc '89 (October 28) = The Midnight Express (Lane & Eaton) & Steve Williams were beaten by the Samoan Savage & the Samoan Swat Team. - NWA Clash of the Champions IX (November 15, '89) = The Midnight Express (Lane & Eaton) defeated the Dynamic Dudes. 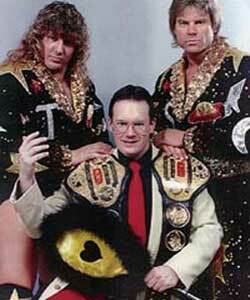 - NWA United States Tag-Team Title Tournament (January/February '90) = The Midnight Express (Lane & Eaton) won over the Rock-n-Roll Express, then were beaten by the eventual winners, Brian Pillman & Tom Zenk. - NWA WrestleWar '90 (February 25) = The Midnight Express (Lane & Eaton) fell to the Rock-n-Roll Express. - NWA Capital Combat (May 19, '90) = The Midnight Express (Lane & Eaton) won the NWA United States Tag-Team Titles, beating Brian Pillman & Tom Zenk. - NWA Clash of the Champions XI (June 13, '90) = The Midnight Express (Lane & Eaton) stayed the NWA United States Tag Champs, but lost, via DQ, to the Rock-n-Roll Express. - NWA Great American Bash '90 (July 7, '90) = The Midnight Express (Lane & Eaton) retained the NWA United States Tag-Team Titles, taking down Tracey Smothers & Steve Armstrong. - NWA Halloween Havoc '90 (October 27) = The Midnight Express (Lane & Eaton) fell to Ricky Morton & Tommy Rich. - Tri-State Winter Challenge II (March 2, '91) = Lane was pinned by Al Perez. - Tri-State Summer Sizzler II (August 3, '91) = Lane & Jim Cornette were beaten by the Fantastics. - GWF Television Title Tournament (June '91) = Lane lost in the first round to the eventual winner, the Patriot. - GWF Tag-Team Title Tournament (July '91) = Lane & Steve Cox beat Kendo Nagasaki & Ninja, then fell to the eventual winners, Steve Simpson & Chris Walker. - GWF GWF North American Heavyweight Title Tournament (August '91) = Lane took down Action Jackson and Steve Cox before losing to the eventual winner, the Patriot. - SMW Volunteer Slam '92 (May 22) = The Heavenly Bodies (Lane & Tom Pritchard) retained the SMW Tag-Team Titles, beating Davey & Johnny Rich. - SMW Summer Blast '92 (July 17) = The Heavenly Bodies won a "Street Fight" Match over the Fantastics. - SMW Fire on the Mountain '92 (August 8) = The Heavenly Bodies lost the SMW Tag-Team Titles, losing a "Barbed Wire Cage" Match to the Fantastics. - SMW Bluegrass Brawl I (April 2, '93) = The Heavenly Bodies & Bobby Eaton) won a "Three Way Street Fight" Match over Arn Anderson & the Rock-n-Roll Express and Jimmy Golden, Robert Fuller, & Dutch Mantel. - SMW Volunteer Slam II (May 9, '93) = Lane fell to Brian Lee. Later on, the Heavenly Bodies, Kevin Sullivan, Killer Kyle, & the Tazmaniac lost a "Rage In A Cage" Match to Lee, Robert Fuller, Jimmy Golden, & the Rock-n-Roll Express. - SMW Last Tango in Tennessee (May 15, '93) = The Heavenly Bodies lost the SMW Tag-Team Titles, losing a "Loser of Fall Must Leave SMW" Match to the Rock-n-Roll Express. Due to being pinned, Lane had to leave SMW. - NWA 51st Anniversary Show (September 25, '99) = Lane fell to Ron Garvin. - Heroes of Wrestling (October 10, '99) = Lane was pinned by Tully Blanchard. - RoH Midnight Express Reunion (October 2, '04) = The Midnight Express (Lane, Eaton, & Condrey) & Jim Cornette brawled with Prince Nana & the Embassy. - Wrestle Reunion #1 (January 29, '05) = The Midnight Express (Lane, Eaton, & Condrey) fell to the Rock-n-Roll Express & the Fantastics. - Wrestle Reunion #2 (August 27, '05) = The Midnight Express (Lane, Eaton, & Condrey) took down Mick Foley, Terry Funk, & Dory Funk Jr.
- World Wrestling Legends (March 5, '06) = The Midnight Express (Lane, Eaton, & Condrey) were beaten by the Armstrongs.